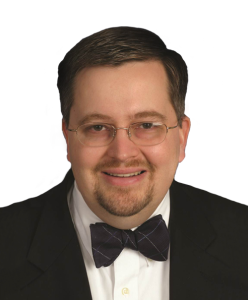 To address GDPR compliance in third party relationships, organizations should avoid manual processes encumbered by documents, spreadsheets, and emails. They should look to implement a solution that can manage the assessment, communication, and awareness of GDPR requirements and processes in and across third party relationships to manage compliance consistently and continuously in the context of distributed and dynamic business. Aravo is a GRC solution that GRC 20/20 has researched, evaluated, and reviewed that is agile for use in complex, distributed, and dynamic business environments to govern third party relationships. Their solution, Aravo for GDPR, delivers an innovative approach to streamline GDPR compliance across an organization’s third party relationships – vendors, suppliers, outsourcers, contractors, service providers, consultants, temporary workers, agents, and more. Aravo for GDPR makes GDPR compliance in third party relationships more efficient, effective, and agile. The solution delivers significant business value and brings a contextual understanding of GDPR compliance and control across an organization’s distributed business environment. 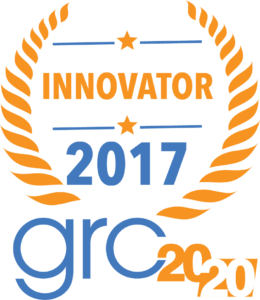 In this context, GRC 20/20 has recognized Aravo for GDPR with a 2017 GRC Innovation Award for the technology innovation in third party management. Have a question about Aravo or other third party management solutions available in the market? To address GDPR compliance in third party relationships, organizations should avoid manual processes encumbered by documents, spreadsheets, and emails. They should look to implement a solution that can manage the assessment, communication, and awareness of GDPR requirements and processes in and across third party relationships to manage compliance consistently and continuously in the context of distributed and dynamic business. 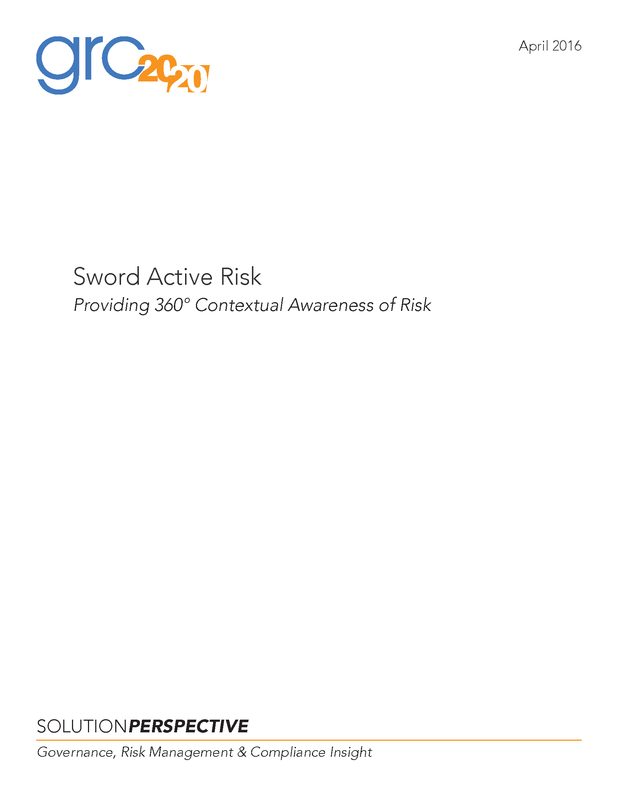 Aravo is a GRC solution that GRC 20/20 has researched, evaluated, and reviewed that is agile for use in complex, distributed, and dynamic business environments to govern third party relationships. Their solution, Aravo for GDPR, delivers an innovative approach to streamline GDPR compliance across an organization’s third party relationships – vendors, suppliers, outsourcers, contractors, service providers, consultants, temporary workers, agents, and more. 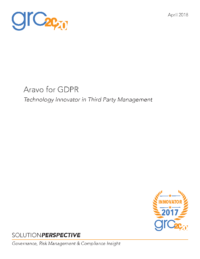 Aravo for GDPR makes GDPR compliance in third party relationships more efficient, effective, and agile. The solution delivers significant business value and brings a contextual understanding of GDPR compliance and control across an organization’s distributed business environment. In this context, GRC 20/20 has recognized Aravo for GDPR with a 2017 GRC Innovation Award for the technology innovation in third party management.